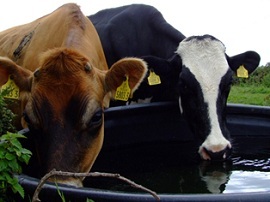 As a provider of diagnostic services to animal agricultural, CVAS provides livestock suitability evaluations of water. Data is available by web access for printing, sorting and summarization. Do you know if water quality is an issue on your operation?